Superdek flooring is ½" thick injection molded soft plastic and is ideal as a mat on any hard surfaced Sauna floor. 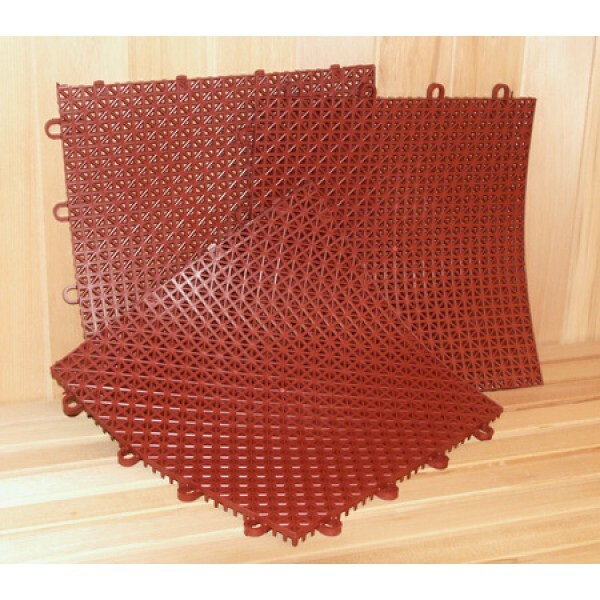 It comes in 12" x 12" squares and is easily cut with a utility knife. Superdek provides a non-slip, comfortable, and sanitary surface to walk on. It can be removed periodically to clean. Each tile contains Vinyzene® SB-1 antimicrobial which fights mold, mildew, and infectious bacteria.